Music is a way for the soul to express praise, love, joy, needs, and sorrows. 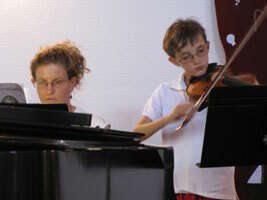 When we share music together we touch our hearts and open our souls to Godâï¿½ï¿½s messages. 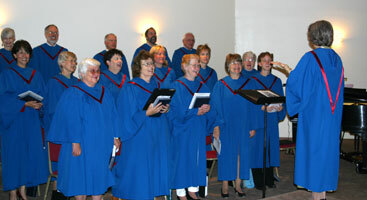 Adult/Youth Choir: The church choir enhances our worship and times of praise by sharing inspiration and leading congreational song. They meet on Wednesday evenings to prepare for Sunday Services. 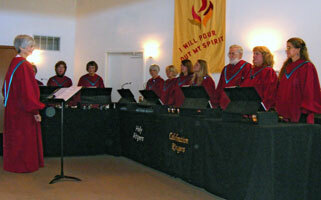 Handbell and Chimes Choir: The Celebration Ringers are part of the service every 3rd Sunday. 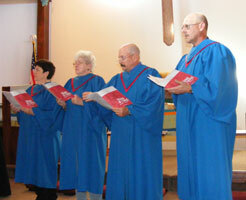 Children and adults are invited to join the chimes choir (Holy Ringers). Both groups practice on Thursday night.